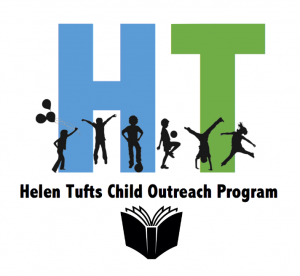 The Helen Tufts Child Outreach Program is a four-way partnership between students from Queen’s University, Frontier College, and Sydenham Street United Church and First Baptist congregations. The HTCOP program assists children, aged 6-12 from disadvantaged families, to develop reading, numeracy and social skills. It transports children to the two church buildings where they meet one on one with their Queen’s student mentor on Monday or Thursday evening. Each of the 50-60 children is matched with the same volunteer Queen’s student for that evening throughout the program year. Much of the time is spent working on reading skills or basic arithmetic, but the emphasis is on the idea that learning is fun. The evening also includes group activities, games, and a healthful snack. Frontier College staff recruit and train the student volunteers; Queen’s Alma Mater (AMS) provides an annual grant; and the two congregations donate gifts of space and volunteer support from their members. Church volunteers include: a program coordinator; a treasurer to manage the funds, a family visitor to enroll the children, drivers who take the children to and from the program; phoners who contact each family each week; and individuals who contribute treats for parties and celebrations throughout the year. Queen’s students continue to volunteer for the program and to petition for the funds to support it – these students are committed and with them the program continues to be a positive influence on young children. Each Tuesday morning, except in July and August, a team of empathetic listeners meets with people living in poverty. They hear their stories, offer them coffee, and dispense food vouchers. Participating grocery stores accept the vouchers as cash, and then send the tapes to us for reimbursement. The value of the vouchers varies according to need, but ranges from $25 to $40. We have 30-40 regular clients who may receive a voucher once a month. We also have one-time-only clients (often single men) who receive a $25 emergency voucher, but only once each year. This outreach program of the congregation has operated for many years and is well known among the needy in Kingston. 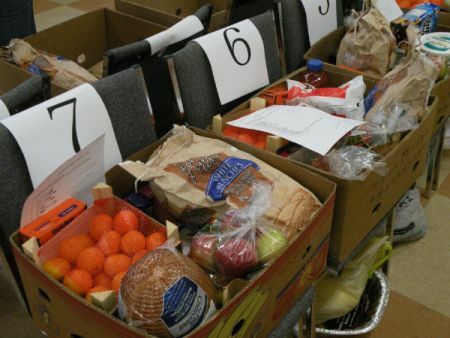 It has been featured in both annual reports of the Kingston food providers network. The program is funded by: your contributions to the Benevolent Fund at Communion offerings; by regular givings; and by special fund-raisers such as soup lunches and the Vimy Band Concert. Excess monies raised for the Christmas Baskets, including some funds from last year’s shared Christmas Basket program donated by Princess St United people, are left with the Benevolent Fund for the voucher program. The funds are maintained outside our congregational budget and balances are carried over from one year to the next. Through special communion offerings and regular donors, we collected $21,800 for the Benevolent Fund and Christmas Basket programs. In 2015, we received enough food and money donations to provide a Christmas dinner for 44 families. 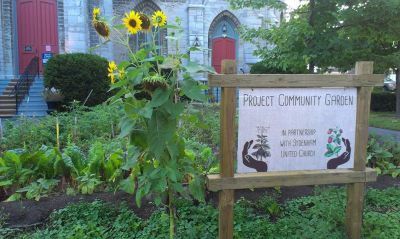 This is a partnership involving students in Queens Development Studies & Members of Sydenham Street United Church. We have, for years, opened our church spaces for community use by self-help groups like AA and Al-Anon, groups working to restore health to people and families facing issues of addiction. The congregation’s support of the general fund makes it possible to continue to offer the use of this building for outreach and social justice causes. In 2015 Sydenham Street United Church contributed $51,300 to the Mission and Service Fund (M&S) of the United Church of Canada up from $49,400 in 2014. About 45% of contributors to the congregation give to the M&S fund. With these monies our international partner churches are able to respond to crises. But more than that, they continue with the day to day support for projects in Africa, the middle East, Asia and the Caribbean. M&S money also goes to community chaplains and Indigenous justice work here in Canada. More information is available at at the M&S web site. This is a group of lay representatives from Chalmers and Sydenham Street United Churches and others who share an interest in and commitment to advancing reconciliation with Canada’s first peoples and changing the future. To share information on events being held within the broader community on indigenous culture and history, public policy and related themes. From time to time updates on the program are presented to the congregation at the Sunday morning services. These can be viewed here. More information about the group is available here. Members of the committee liaise and work with other groups including: Social Interest Network Group; Food Providers Network Group; Loving Spoonful, Kingston Community Health Centres Harvest Committee and Grow a Row; the Sisters of Providence; St Vincent de Paul Society (Vinnies) Capital Campaign; and the Kingston Faith and Justice Coalition. 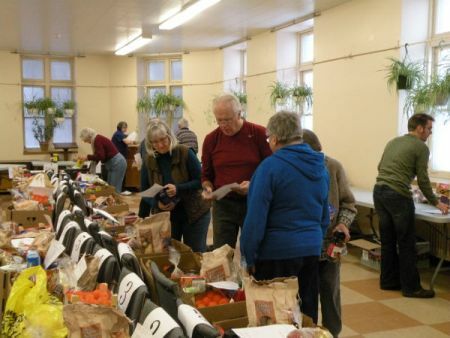 The Kingston Food Providers recently published a report to bring attention to the issue of food access and food insecurity in Kingston and plan to provide such a report annually. See their latest report. We encourage others use of our building for outreach and social justice causes such as the Save the Prison Farms Concert; cooking classes in partnership with the Health Unit; AA meetings and interviews for Kingston’s Social Audit. We ask governments to reduce the inequalities experienced by those in poverty. We identify and invite special Sunday speakers to increase awareness of Outreach and Social Justice issues.